The ulnar nerve can be constricted at many places, which results in nerve entrapment. The compression pressure on the nerve can cause pain and numbness in various parts of the arm. Compression of the nerve occurs most commonly against the medial epicondyle and is called cubital tunnel syndrome. Ulnar nerve transposition is a surgical procedure performed to transpose or move the ulnar nerve to an appropriate position from the back of the medial epicondyle. Incision and nerve location: Your surgeon will make a small incision around the medial epicondyle and locate the ulnar nerve. Transposition: Your surgeon then carefully moves the ulnar nerve from under the medial epicondyle and positions it in front of it (anterior transposition). The nerve can be placed on top of the muscle, under the skin and fat (subcutaneous transposition), under the muscle (sub muscular transposition) or within the muscle (intramuscular transposition). The incision will then be sutured. The anterior transposition prevents nerve entrapment at the bony ridge and stretching of the nerve when the elbow is bent. Following the procedure, your doctor will remove the applied tourniquet. The elbow is set with a splint at an angle of 45 degrees after subcutaneous transposition or at an angle of 90 degrees after intermuscular transposition. 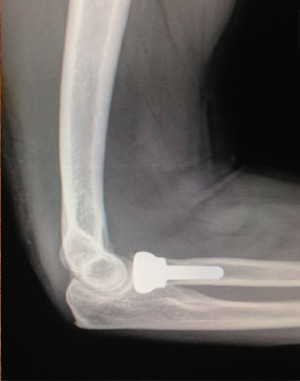 The bent position of the elbow is maintained for a few weeks. Your physical therapist will suggest toning and muscle stretching exercises to restore full range of motion as well as to control pain and reduce swelling. You can resume regular activities after consulting with your doctor.